When investors retain the services of an investment firm or broker, they place their financial security in the hands of these professionals. Although risk is inherent in any investment, losses are not always due to market fluctuations; sometimes brokers and firms are to blame. 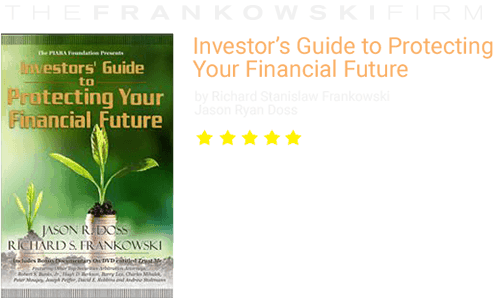 Investment professionals are regulated by a number of complex federal and state securities laws. When these obligations are not met, either intentionally for the financial gain or the broker or as a result of negligence, the client may have a viable securities arbitration claim. The Frankowski Firm has intimate knowledge of the regulations laid out by the Financial Industry Regulation Authority (FINRA) and has extensive experience with the FINRA arbitration process. As experienced San Francisco broker fraud litigators and FINRA arbitration counselors, we help investors seek damages when negligent or fraudulent practices lead to substantial financial losses. What are your rights as an investor? When a broker has violated any of the above duties, or any other state or federal regulations, and a client lost money as a result, the broker and firm are potentially liable for negligence, fraud, or both. What constitutes broker negligence or fraud? Breach of fiduciary duty. If a stockbroker does not meet any of the duties listed above, that broker has breached the fiduciary duty owed to that client. Failure to supervise. When a broker acts negligently or fraudulently, the investment firm that broker represents is often liable for not having done their due diligence to ensure the broker’s professionalism and compliance with regulations. Failure to diversify. No client’s portfolio should have too many of the same type of security, or too many securities in the same industry. If a broker allows a client’s investments to be over concentrated, that broker is liable for negligence. Suitability claims. Brokers may be tempted to steer clients toward investments that are not suitable due to the allure of high commissions. If an investor loses money due to this type of misguidance on the part of the broker, the client has grounds for a securities claim. Ponzi schemes. This form of outright fraud involves an investment that can only generate money by a broker or the manager of the operation bringing in subsequent investors. A broker should only buy and sell investments on an investor’s behalf when it is beneficial for the investor to do so. Churning occurs when brokers buy and sell simply to generate excess commissions. Selling away. When brokers and firms trade securities they are not authorized to, they are engaging in fraud. Broker negligence and fraud occur at alarming rates due to the strong financial incentives brokers have to sell particular, riskier securities. Investment professionals must be held accountable for their wrongs to deter these incentives from taking priority over the integrity of the investor/broker relationship. 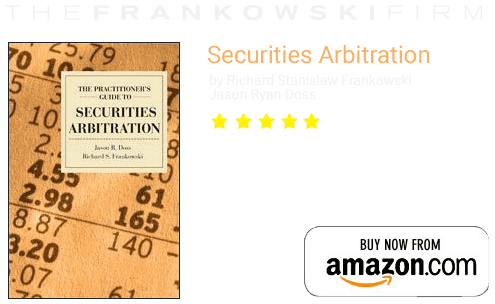 How is securities arbitration litigated? When an investor enters into a professional relationship with a broker and/or firm, the client typically signs an investment contract. Typically, such a contract states that any claim brought against the broker or firm will be heard through the FINRA arbitration process. FINRA regulates the United States securities markets, ensuring compliance of brokers and investment firms with the Securities Exchange Commission (SEC) by licensing and registering brokers and firms to sell securities to public clients. When a FINRA-registered broker or firm has claim filed against them, the claim must be settled through the FINRA arbitration process. Standard FINRA arbitration involves three arbitrators and can be quite lengthy. For claims involving less than $50,000.00 in damages, a simplified arbitration process is available, in which one arbitrator decides the case with no hearing. 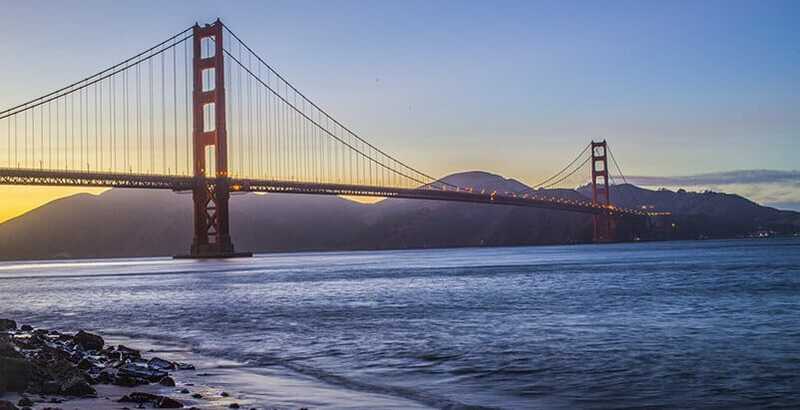 The Frankowski Firm’s San Francisco FINRA arbitration lawyers helps clients through the process, and seek redress for the negligent or fraudulent actions of the firm or advisor. If you have been misled or scammed by the negligence or fraudulent behavior of a stockbroker or investment firm, The Frankowski Firm is prepared to fight for you. Our team of skilled San Francisco broker negligence attorneys has an extensive record of obtaining justice for investors. To schedule an appointment, complete our contact form or call our San Francisco office at 888-741-7503.